Connect a high-powered server to a power distribution unit. 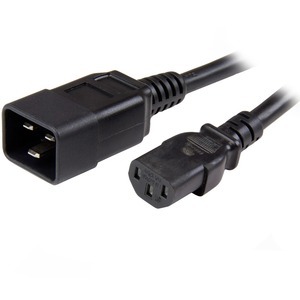 This C13 to C20 power cord from StarTech.com features 14 AWG wire that's suitable for high-power connections, making it perfect for server application and connecting to a Power Distribution Unit (PDU). Designed and constructed of high-quality materials, the PXTC13C20143 power cord is backed by our lifetime warranty.